When it comes to being a mom, breastfeeding is one of many areas that should be taken seriously. What you put in your body is just as important for your baby as it is for you. You want to be sure your baby is getting the proper nutrition for proper growth. Believe it or not, there are specific breastfeeding foods that nursing moms should be paying attention to and adding to their grocery list. If you are a nursing mother please understand that good nutrition is a crucial part of increasing proper milk supply. There are many foods good for breastfeeding that you should be consuming on a daily basis for the health of you and your newborn. The best and safest way to get proper nutrition for you and your child is through eating proper foods. Although there are many vitamins, supplements, herbs, and alternatives on the market there is nothing like sticking to specific foods to eat while breastfeeding. It’s best to do things naturally as your newborn is very sensitive to certain foods and ingredients in the beginning stages. Getting the right amount of complex carbohydrates gives you the energy you need as a nursing mother. This is easily one of the best foods for breastfeeding your newborn. As a new mom, your energy levels will drop significantly, eating foods rich in vitamins, minerals and fiber are vital. 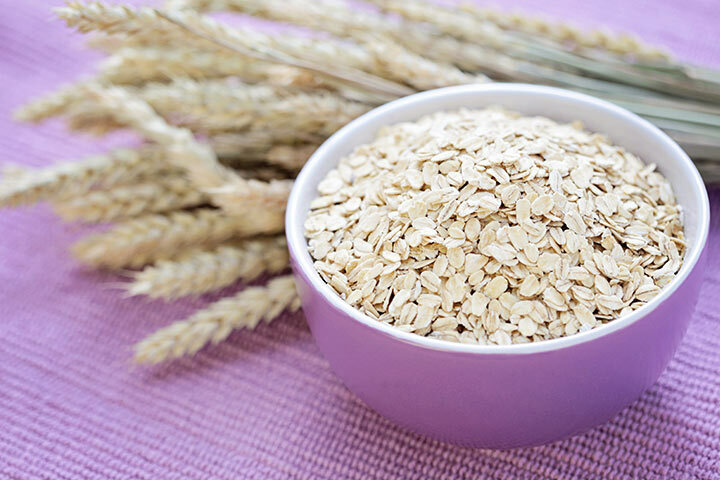 Starting your day with a bowl of oatmeal has an abundance of nutrients that you should not pass up. This is one of the really good foods to eat while breastfeeding to provide the utmost nutrients and vitamins to yourself and your baby. Also, this is one of the best foods to increase milk supply due to its ability to lower stress levels. When a nursing mother has an increase in stress it has been proven that her milk supply will start to diminish. If you’re not a big fan of oatmeal, try adding in brown rice to your diet. This is another great option for lactation foods because it has been known to increase serotonin levels. As we all know serotonin is the feel-good chemical that helps manage stress which increases prolactin levels. Also, if you’re familiar with fennel seeds, this is a great herb for mothers who are needing an increase in their breast milk supply. You get a multitude of benefits out of this food. The list is long including fiber, protein, folate, zinc, calcium and full of nutrients. There’s no reason why you wouldn’t want to add this to your nursing mom diet. 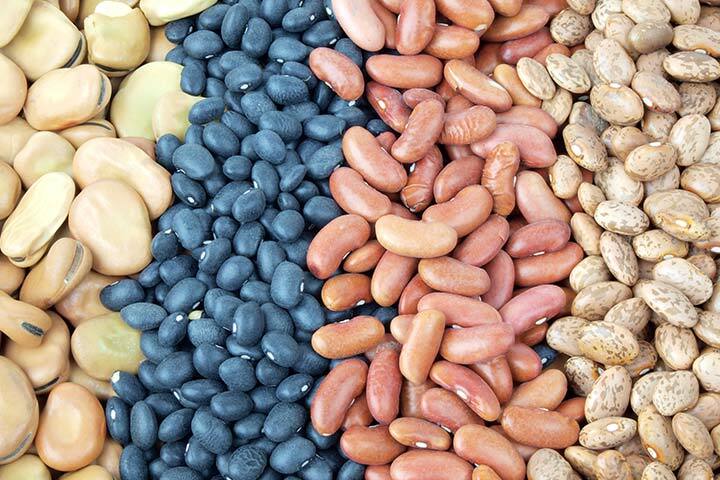 The iron inside of beans helps deliver oxygen to your brain cells providing more energy to your body as a whole. Fenugreek is another legume that is an extremely helpful addition to the list of foods to increase milk supply. This is an excellent way to get your dose of plant proteins in your day due to the zinc and iron inside. This protein-rich food is known to lower and regulate blood sugar level in addition to reducing obesity. You will get the fuel you need as a nursing mother who is low on energy. We know that being a mom breastfeeding can take a lot from you, but it is a special moment for both you and your child. This means that you’ll want to consume only the most nutritious foods to get the most out of your breastfeeding experience. You must be sure that you are containing enough zinc while breastfeeding and beans and legumes will do the trick on this! The great part is that consuming flaxseed for lactation will give you the proper milk supply you need to feed your child. This may or may not be one that you are quite familiar with if you are new to the nursing moms club but its one you definitely don’t want to leave off of your list! If you are having trouble with your milk production this is a great source of lactation foods. Brewers yeast is rich in protein, iron, minerals and B vitamins. Due to the rich source of B vitamins in this superfood, it has been known to increase mood and reduce depression symptoms. This is not only one of the best foods to help milk supply but also helps with improved skin, hair, and nails. In addition to that, if you have high blood pressure, you can notice a big difference in controlled blood pressure levels. You can take this in form of a tablet or powder, some people including nursing moms will sprinkle this into certain foods they cook. It’s a great addition to almost any dish! From blueberries to raspberries to strawberries to blackberries, they are all delicious and full of vitamin A and vitamin C. Both of which you need whether you are pregnant, breastfeeding or just looking to boost up your nutrient levels! Although it’s specifically important to eat plenty of berries while you are breastfeeding to be sure that you are getting the proper nutrients. Vitamin C as we know is one of the most common and beneficial forms of antioxidants that protect your skin cells and be sure that they are healthy. It is a wonderful aid in healing and repairing skin cells which as a nursing mom you will be thankful for. 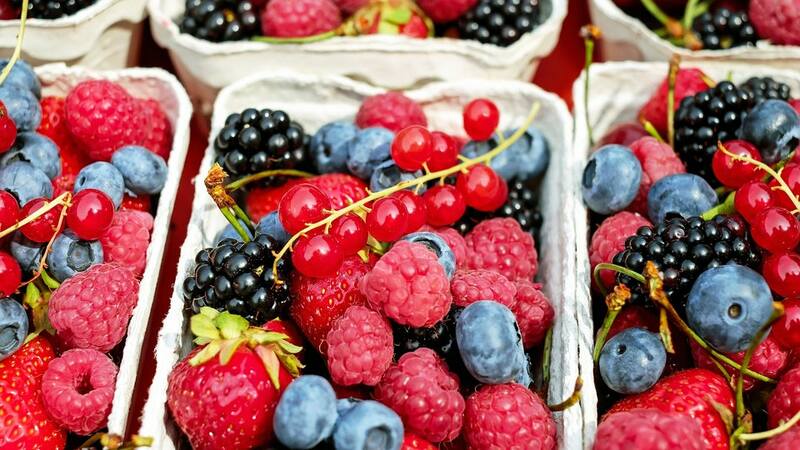 You’d be happy to know that berries are among the list of the healthiest foods in the world, no wonder this is one of our favorite superfoods! They provide just the proper amount of carbs and fiber to leave you feeling full longer and reducing your hunger and urge of cravings. 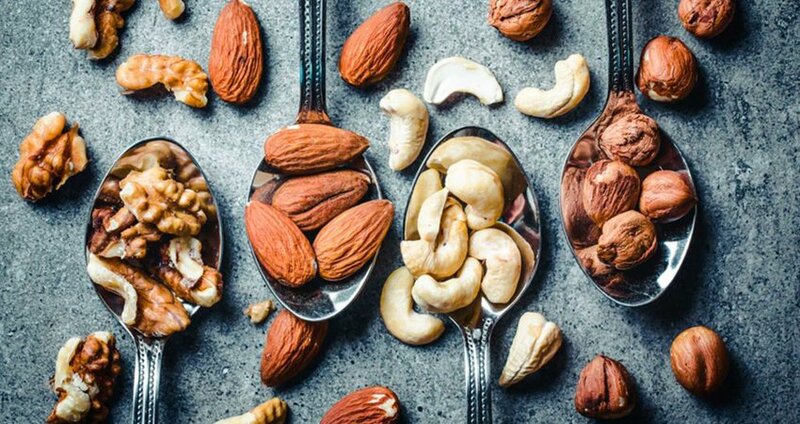 Tree nuts are a great source of omega-3 fatty acids, almonds, in particular, provide calcium and cashews boast high levels of folic acid and iron. No need to worry about the high fat inside of this superfood, because as a new mommy you will need plenty of good fats to keep you full and energized. Just as the berries we mentioned, they are a healthy and easy snack which is why this makes the list of best foods to eat while breastfeeding. We know that it can be hard to know what to eat when breastfeeding because of your busy schedule. This is a great easy snack to have in the midst of your hectic day to keep you going! What Are The Best Foods To Eat While Breastfeeding? Adding a combination of these foods will contribute to the best diet for breastfeeding moms. Among this list of foods to eat while breastfeeding there are many other nutritious foods out there that can be substituted for any options that you don’t like that we’ve listed. For example, adding in turmeric while breastfeeding comes with a multitude of benefits that can simply be added to your diet in the form of a supplement or added to your foods. 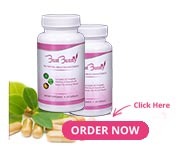 As for Bust Bunny, there are many ingredients that are a great source of vitamins for women, although we don’t recommend taking it while breastfeeding or pregnant. Once you have completed breastfeeding and are no longer pregnant, you may notice that your breasts are no longer as full or perky as before. At that point giving Bust Bunny a try would be the most beneficial way to naturally get your breasts back to how they were before breastfeeding. Following a healthy diet for breastfeeding moms is crucial at this time. You want to be sure you are not eating too little and not too much either. Among the list of breastfeeding foods be sure to pick foods that are rich in areas, you are lacking. You want to pick the most beneficial foods for your child which are any food sources full of vitamins, minerals, and nutrients. You should be picking healthy nutritious foods to help milk supply increase. There is a wide source of breastfeeding superfoods that you should choose from and do your best to avoid sugars, fried foods, and too much caffeine. Some of the best vitamins for breastfeeding moms are the same vitamins that should be taken with or without being pregnant. Bust Bunny would love to be a part of your daily regimen after you are finished breastfeeding and while you are not pregnant. We have helped many mothers get their breasts back after being pregnant and would love to do the same for you. After consulting with your doctor start your journey with Bust Bunny for 10% off. Use coupon code “mommy” or CLICK HERE to have it instantly applied.